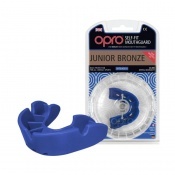 Opro Mouthguards are the best selling and most respected name in mouth shielding technology. Innovatively designed to offer more protection than other mouthguards and a superior fit thanks to their unique self-forming mouldiable fins. Custom mouthguards are also also available to offer the best fit possible and your own unique design!